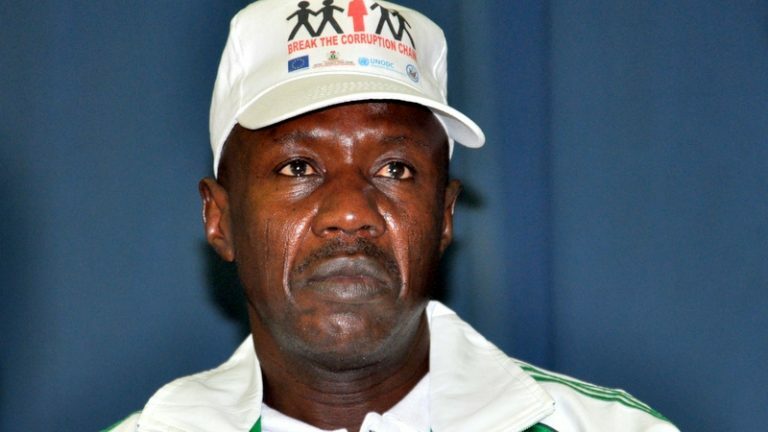 Chairman of the economic and financial crimes commission, EFCC, Ibrahim Magu has revealed why the agency has failed to arrest former minister of Petroleum resources, Diezani Allison-Madueke. PoliticsNGR learned that Magu, during a media chat on Wednesday in Abuja, disclosed that Foreign law enforcement agencies were protecting Madueke. He added that if Diezani had been in Nigeria, he would have arrested the former oil minister in less than an hour . He further disclosed that major law enforcement agencies all around the world have been alerted and iformed that Diezani was a person of interest. “More than 80 per cent of the loot outside the country is still hanging. Ask them why it is so difficult to repatriate these funds when it has been established that this money came from Nigeria and you know that this person does not own this money .